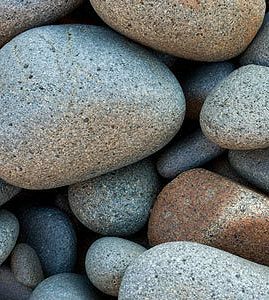 I practice as a mobile massage therapist in Exeter and Devon and offer Swedish, Deep Tissue, Stone Therapy and Pregnancy Massage at your home at a time convenient to you. I have recently started training so that in the future I will be able to offer Myofascial release. I have over 20 years experience as a massage therapist in North Cornwall and Devon. I trained in Exeter at the School of Complimentary Therapies and was tutored by Stewart Mitchell who passed on his love of and fascination with massage therapy. I hold ITEC recognised qualifications in Aromatherapy, Sports Therapy and Stone Therapy and have also achieved a Pregnancy Massage Practitioners Diploma. I am a fully insured member of the CTHA and can be found on their website by clicking here. I feel that as a massage therapist it is important to ensure each client has a treatment tailored to their needs and so conduct a consultation with each new client. This ensures you are getting the treatment you need whether it be for a sports injury, a physical condition, back, neck or shoulder pain or just for relaxation and well being. For Aromatherapy treatments I use Essential Oils to make synergistic blends to meet the individual needs of each client. I recognise that it is important to be flexible so that you can have treatments at a time that is convenient to you and so offer evening and weekend appointments by arrangement. As well as having my own clients I also provide massage treatments to www.thebodyretreat.co.uk, www.glo-pamper.co.uk, www.southviewlodges.co.uk and www.huntshamcourt.co.uk. Monday to Friday, evening slots available. Please note I do not work on bank holidays. For each new client I will need to conduct a client consultation. This will require you to fill out a form detailing your medical history, past illnesses or injuries, and general fitness and lifestyle. I will also check your posture and range of motion. This will also be an opportunity to discuss your treatment in more detail. This consultation will enable me to ensure you have the most effective treatment, one that is tailored to your individual needs. The consultation will cost £10 and will take approx. 15 mins. If possible please download and complete the consultation form (see pdf at bottom of page) prior to your treatment. Male clients will at all times be required to wear underwear and cover the part of the body that is not being worked on with a towel. This is to ensure the modesty and comfort of the client, and to reinforce the working boundaries that exist between a client and therapist. I reserve the right to refuse to treat a male client who does not adhere to this policy. I am able to travel 15 miles from Exeter. If you would like me to travel to you and you live further than 15 miles I will charge a £2.50 per every 5 miles after this. This is to cover not only the fuel and wear and tear on the car, but also my time. In addition to the actual treatment time I will need to allow 15 mins to set up and pack away the equipment. If you are a new client you will also need to allow 15 mins for the initial consultation. I bring all the equipment needed and will just need adequate space to set up the table, and possibly hot water if you are having a hot compress. This massage is good for relaxation and more serious neck and shoulder issues like 'desk neck'. 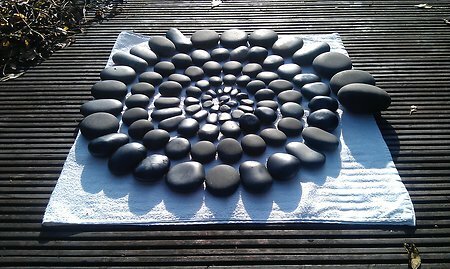 A deeply relaxing treatment using heated basalt stones. This treatment works on the principles of thermotherapy, using heated stones then cold stones to stimulate the body's own healing response. Stone therapy followed by deep tissue. This treatment is extremely good for sports injuries or people with tight hamstrings leading to low back problems. The heat enables the therapist to provide a much deeper treatment. Especially good for stress, anxiety and worry. This relaxing treatment uses a blend of pure essential oils chosen for your specific needs. Extremely beneficial therapy as a relaxed mother has a relaxed baby. Can also hep with fluid retention and tiredness. It is recommended that a Pregnancy massage takes no longer than 1 hour. For those unable to use a massage table a seated head and shoulder massage is a good alternative. I am available to provide massage for parties. Please contact me to discuss your requirements. In order to understand the benefits and effects of massage, it is important to consider how the body responds physiologically. Massage can help increase joint mobility by reducing any thickening of the connective tissue and helping to release restrictions in the facia. It increases blood circulation bringing more oxygen and nutrients into the muscle. This reduces muscle fatigue and soreness. I have various recommendations from clients I have treated which you can see below and on the recommendations page of this website and also on Facebook. Please feel free to like my page, get in touch and leave me some feedback! I'm also on LinkedIn and would welcome the chance to connect with you on here, you can view my LinkedIn profile by clicking here. The picture below is of the stones I use in Stone Therapy being recharged in the sunlight. I do this after every Stone Therapy massage in order to recharge the stones with the sun's energy. The sun's energy revitalises the stones and ensures each client feels the full benefits of their treatment.